India is by far the pickiest eater in our family, so with her on her 8th grade field trip down to Washington, D.C. this week, I decided this would be a good time to make this queso fundido as it was something everyone (but India) would enjoy. The original recipe called for 1 jalapeño, but I’ve really been enjoying the flavor of poblano peppers lately, so I used half of a jalapeño and half of a poblano, If you like things really spicy, you can use 2 peppers. If you or your friends are more, ahem, delicate, then stick with one chile and remove the seeds and ribs. 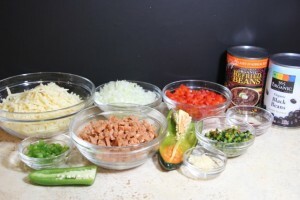 I also added a bit more chorizo, as I was making it a meal and not an appetizer, and I used black refried beans that I found at Whole Foods and also added a can of whole black beans as well. 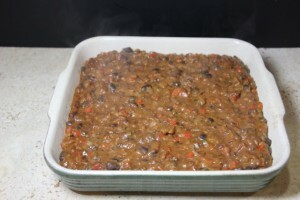 No offense to salsa, but come on, who doesn’t love a gooey, cheesy bean dip, bubbling hot like lava from the oven? I found this recipe in Gourmet Magazine’s “Comfort” special edition publication. 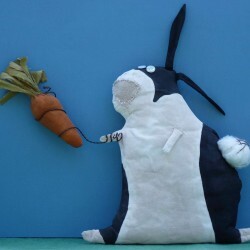 Original recipe altered by Crafty Farm Girl, March 2012. 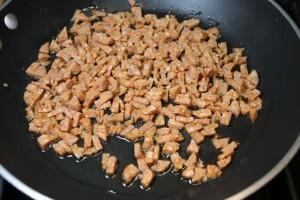 Cook chorizo in 1 tablespoon oil in a 12-inch heavy skillet over medium heat, stirring, until golden and pieces start to crisp, 2 to 3 minutes. Transfer with a slotted spoon to a plate lined with paper towels. 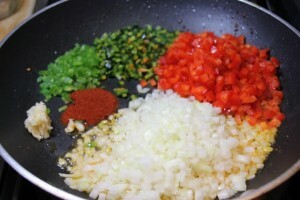 Cook onion, garlic, peppers, and paprika in fat remaining in skillet, stirring occasionally, until vegetables start to soften and turn golden, about 8 minutes. 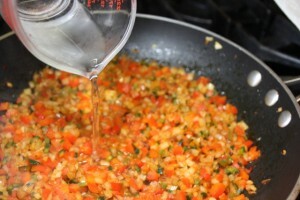 Stir in 1/4 cup water and simmer, uncovered, until vegetables are tender and almost all liquid is evaporated, about 3 minutes. 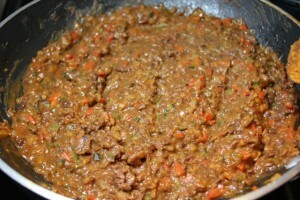 Stir in refried beans and remaining 1/4 cup water and simmer until slightly thickened and mixture is bubbling, 3 to 5 minutes. 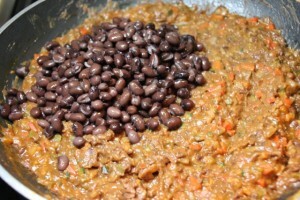 Add the can of refried beans. I know what you're thinking, so don't even say it. I was thinking it too. 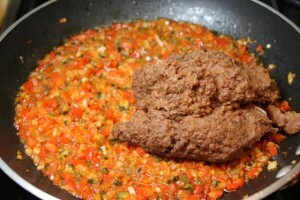 But see, it looks much better once you stir it in. 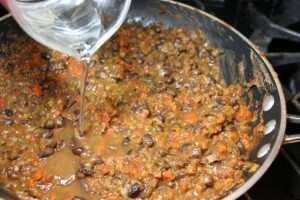 Add the rinsed and drained black beans and stir them in as well. 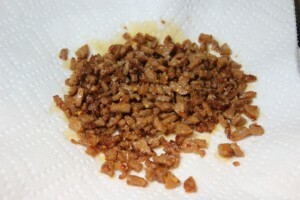 Remove from heat and stir in reserved chorizo and half the cheese until melted. 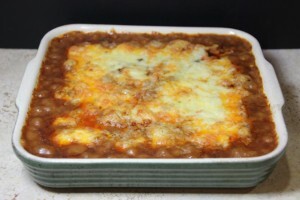 Pour bean mixture into a shallow (2-quart) flameproof crock or baking dish and sprinkle with remaining cheese. Bake in the oven about 10 minutes, until cheese is melted and just starting to brown. 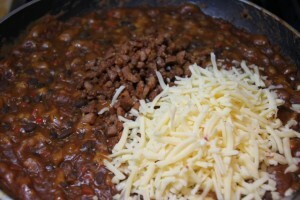 The bean mixture, before the cheese is added, can be made 1 day ahead and chilled, covered. 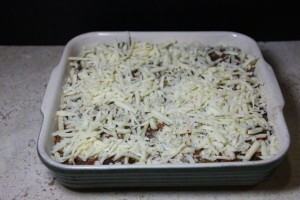 Reheat it on top of the stove over medium-low heat, adding additional water if necessary, then stir in half the cheese and continue with the recipe.